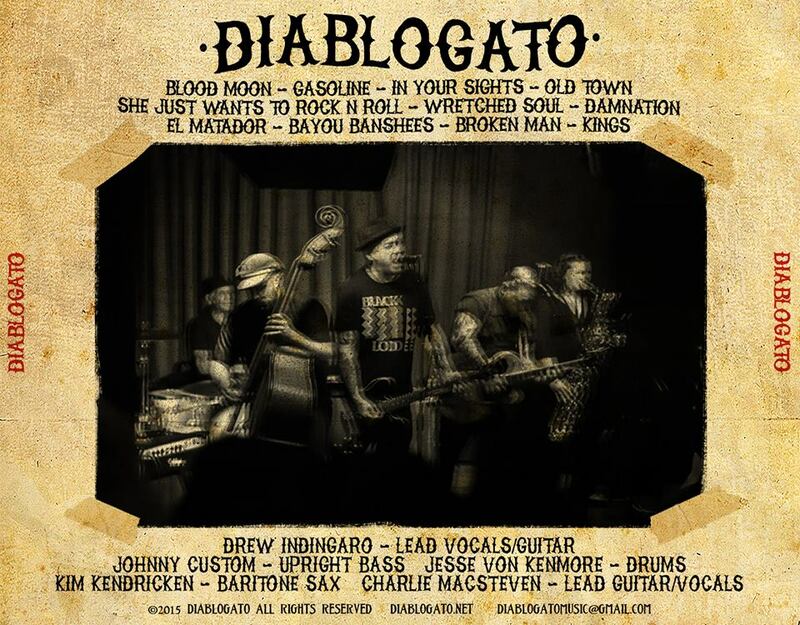 Get your copy of Diablogato's debute full-length now. Sweet and salty. Naughty and nice. Basement show and lounge act. Diablogato's debut S/T full-length is a proper 11-song catalog of punk rock / rockabilly with a custom, diabolical twist. The 2015 record, recorded by Jack Younger at Watch City Studios in Waltham, MA and mastered by Nick Z. at New Alliance East in Cambridge, MA, is now available for purchase as a CD via the band’s website. While the band has tentative plans to release a 7” in the next year, East Coast tour dates are already being put on the books. Can’t wait? Catch them as the special guest during night #2 of the ‘Late Night on Lansdowne Street’ FREE SHOW at Bill’s Bar on Monday, December 28th with The Offseason and Neutral Territory (former Stereo State), presented by Mutiny on the Microphone and Radio BDC. Event details here. Follow the band on Facebook and Twitter for additional show information and stream a few pre-released tracks on Bandcamp now.